Tennis action in the U.S.A is gradually moving into the latter stages. The Miami Open may not be a Grand Slam event. 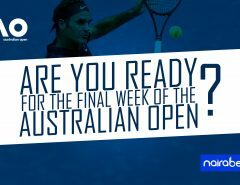 However, it is one of the Premier tennis events of the year, featuring the biggest names in both the Men’s and Women’s category. The tourney which has been on for a couple of days has seen some major names crash out. Despite all of that, some of the top names are still advancing towards the final, which will be played on the 31st of March. In the WTA category, some major upsets were recorded during the first week of the tourney. No. 1 ranked female tennis player, Naomi Osaka, got dumped out of the tourney by Hsieh Su-Wei. While the Japanese was still trying to get past her opponent, Serena Williams had to withdraw due to injury concerns. Those two were the only top casualties in this category. Which of the remaining ladies will make it into the quarter-final of the competition? And while they’ve been eliminated, there are two other names still gunning for glory in Florida. Simmons Halep, ranked No. 3, will try to get the better of Venus Williams in the fourth round of games. This is one of the high profile games still be played in this category. Caroline Wozniacki takes on the player who eliminated Naomi Osaka and Petra Kvitova will also be gunning for a quarter-final slot. Just like in the ATP, only one high profile has been knocked out of the competition so far. Alexander Zverev could not get past David Ferrer in the second round of games. His exit means this tourney will yet again be dominated by the usual suspects, who are still in full flow in this tourney. It’s been an easy ride for Novak Djokovic in this tournament. He has dropped just one set and will be looking to continue with this form, into the quarter-finals. Djokovic has to defeat Bautista Agut in the fourth round to qualify for the next round. The past four meetings between both sides has seen the two men win twice. Who will win this clash? 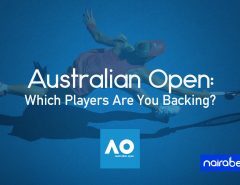 Which of the players will take the first set? Roger Federer is yet another top shot still very much in the running to win this category. 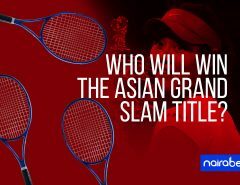 Kyle Edmund, John Isner, Kevin Anderson and Grigor Dimitrov are the other big names vying for a chance to win the tournament. The tourney comes to an end this weekend. In the days before the final in both categories, players will fight it out for match points, game points and power serves, among other things. However, only one can win the trophy. Which of these players do you think has what it takes to get to the final and win it? Which player will be more than enough for the others to handle? Leave us your comments and share your thoughts with us.